Lightgliders: May I Please...May Manners Week! May I Please...May Manners Week! Hey Lightgliders! 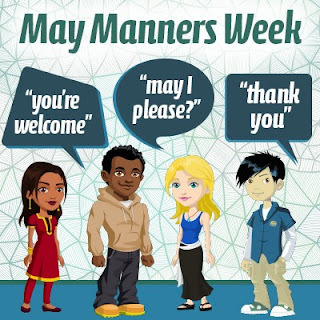 This week is May Manners week! We want to focus on the way we speak to others, knowing that we are always representing Christ wherever we go. Whether we are talking to a teacher, our parents, or even our friends, our words have power. They have the power to build up with encouragement, or tear down and discourage. Using our manners is one way to make sure we are showing love and kindness to others. How do people feel when they talk to you? Do they feel respected? Do they feel lifted up? Let's pay special attention this week and set an example to others with our speech through our manners! Glide on!